These items are selling at a premium right now. If you’ve got one to sell, now’s the time. *The trending price is calculated based on historical sale prices for items sold over the past 60 days (excluding shipping and handling costs). There is no guarantee that the items above will sell at any particular price. **The retail price reflects the Manufacturer’s Suggested Retail Price (MSRP). No guarantee is made that any item will sell at that price. There is no affiliation with any particular manufacturer. Top trending products are the hottest items selling on eBay right now. Some are long-awaited new releases that just can’t stay on the shelves for long before they are snapped up. Some are special edition products or collaborations produced in limited quantities and never reissued. Others are hard to find vintage items that are hot in the market for a second time around. However they are often so popular, the scarcity of these products and the high demand for them keep prices at a premium and make a quick sale more likely. What does it take to get a product on to this very exclusive list? Top trending products that make it on to our list are the ones that are currently selling for more than retail and have high search volume on eBay. We compare historic selling price data from the last 60 days or more to the Manufacturer’s Suggested Retail Price for each item to decide whether or not it deserves top trending product status. Only a select few products can be featured on the top trending list at any one time, so only the very hottest products make it here and even fewer stay on it for long. Do you have one of these hard to find products just gathering dust in a closet somewhere? Then this is a good time to send it to a new home. Being on the top trending list is not a guarantee that they will sell for more than retail, but it does mean that products like them already have. 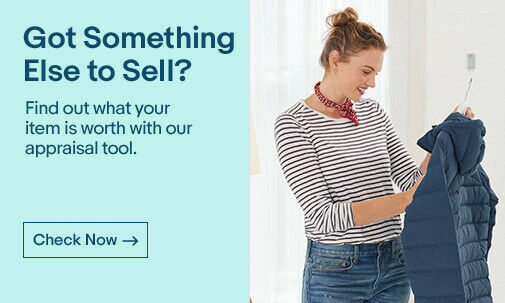 You can learn how to sell through eBay by going to the eBay Seller Center and start listing your unwanted items for sale while they are still hot.